Reviewed from copy provided by publisher in return for an honest review. Mathilda (Matt) Howard can’t resist a good mystery. So when one falls into her hands, she relentlessly pieces the clues together to figure out the answer. It all starts with a forgotten coin that Matt finds in her old excavating backpack. But when she takes it to a colleague, it’s instantly branded a fake from one of the greatest hoaxes ever to occur in America. Undeterred by the skepticism, Matt begins to dig for the truth, leading her to ancient ruins in Illinois and Michigan. But just as she makes some headway in her research, she is stopped again and again by those who don’t want the truth out—a truth that could change the entire world’s history. 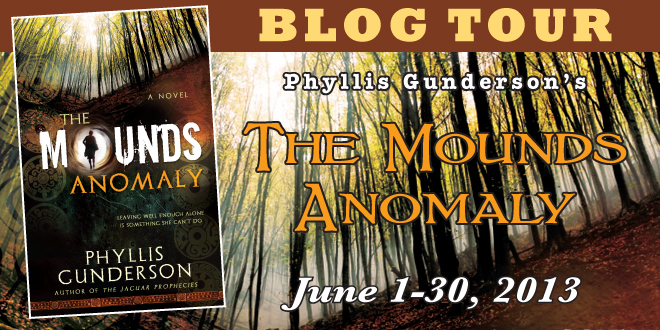 Full of intrigue and action, The Mounds Anomaly will change the way you think about ancient American history. Phyllis Ethlyn Gunderson has degrees in Communications, ESL, Ancient Religious Texts, and enough credits for a minor in Anthropology. She taught English in India, Thailand, and Cambodia, marveling at the vast history and ruins of those lands. She also traveled to Belize, Egypt, England, Ireland, and China to see evidence of the past. But she is especially intrigued by the prehistoric earthworks of her own country. The Mounds Anomaly, told as a story, reveals the largely unknown civilizations that once flourished and faded in North America. She resides in Provo, Utah, always searching for unsolved mysteries and offbeat archaeology. I got curious about the American mounds when I learned of farmers in the early 1800s who uncovered thousands of artifacts that shouldn’t have been under their fields: helmets, jars, calendars, and tablets carved in an unknown script. Scientists pronounced everything, including the farmers, hoaxes and frauds. After that, if anyone found something strange, they used it as a doorstop and shut up. I searched for additional history and found more than enough to write a mystery novel based on archaeological discoveries in North America. By lucky coincidence, “The Mounds Anomaly” comes out in time to coordinate with the new TV series, “America Unearthed,” which examines evidence of ancient world civilizations in North America. It’s fun stuff—and could change history. While I am not an archaeologist, I find archaeological mysteries fascinating, so when I heard about this book, I knew I wanted to read it. 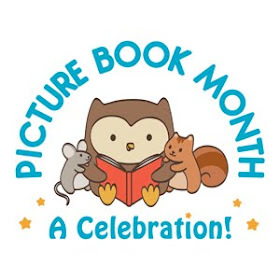 And the book did not disappoint. Matt (formerly Matilda) is a delightful character full of bluntness, determination, and snide remarks. In addition to the mystery aspects of the story, I snorted my way through Matt's comments about everything. For example, when describing herself she says, "My middle name is perversity. My first name used to be Matilda, due to the temporary insanity of my parents, but I legally changed it to 'Matt,' and I'm better now." Beyond enjoying the main character and her 'attitude' I was fascinated by the mystery that Matt confronts. The mystery of whether North America ever had an ancient civilization, beyond that of Native Americans. While the story is made up, the mystery is very real and there is much that still isn't known about the artifacts that are discussed in the story. I think what I found sad was how so many scientists, archaeologists, etc, immediately rejected the artifacts without bothering to even take a look, the artifacts and those who found them were immediately classified as a hoax. Science is supposed to be about the possible, even if unexplainable and yet how quick humans can be to reject something that doesn't fit what we think we know. Now of course I'm sure there are plenty of scientists who are willing to consider that human knowledge is incomplete at best and often down right wrong, but there are far too many who refuse to look beyond their own ideas and beliefs. I loved that Matt did everything in her power to find out everything she could about the artifacts. But the story is realistic also about the obstacles that she runs into and like the real world not all her questions get answered and there are few willing to help her. 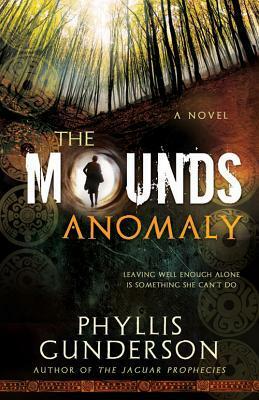 Both an entertaining story and a fascinating subject, I thoroughly enjoyed reading The Mounds Anomaly. I can heartily recommend the book to all who enjoy mysteries involving the past.